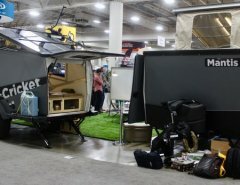 The Airstream 3500 Interstate and Interstate EXT are beautifully designed with contemporary appointments. This luxury motorhome offers bold design, a variety of stunning colors and finishes. Choose your needed seating, sleeping and socializing arrangement that suits your travel needs and requirements with 7 different floor plans. 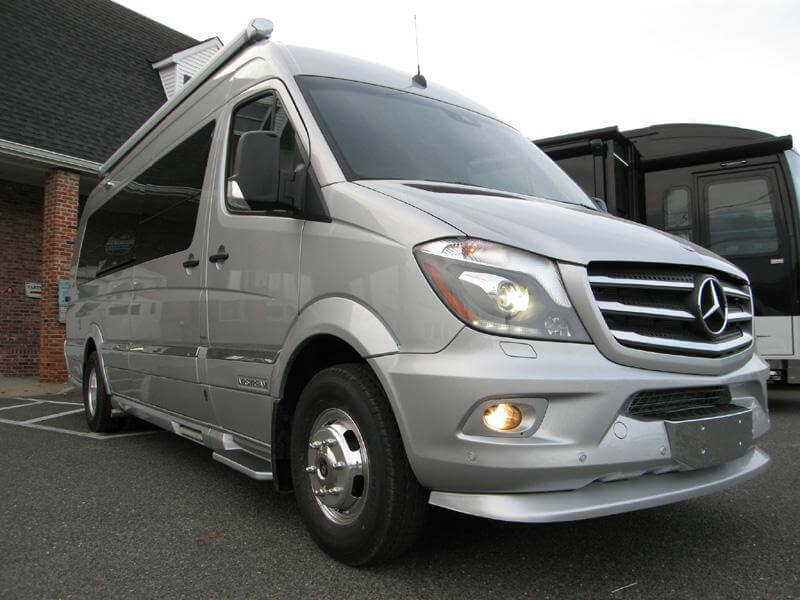 Easy to maneuver at 24’ in length, this motorhome includes a headlight high beam assist, headlight washer system, audio and visual front and rear parking assist, lane keeping, collision prevention, and blind spot assist. 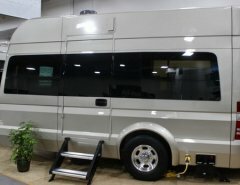 A back up camera system completes the ease and safety of handling this classy motorhome. 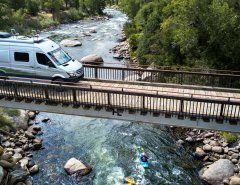 This model provides the comforts of home on a high quality Mercedes-Benz Sprinter chassis and a V6 turbo diesel engine. There is a vast interior space with luxury appointments, and ample storage throughout the vehicle. Push button locks on high gloss handcrafted laminate cabinetry, furnishings are all UltraLeather or UltraSuede and can seat eight and sleep 2. The galley includes a Corian countertop with backsplash, sink with integrated cover and a fold down faucet, a galley flip-up shelf, a cutlery drawer, a two burner stove, convection microwave oven and refrigerator. The bathroom is a wet bath with a sink, mirror, commode, bath exhaust fan, toilet paper holder and towel bar, hinged door and shower curtain as well as the shower. Refrigerator (12 Volt and 110 Volt) 3.1 cu. ft. 3.1 cu. ft.
Microwave (Convection) 1.2 cu. ft. 1.2 cu. ft.